MyBet Casino is a leading provider of online slot machines, classic casino games and skill games. The game portfolio isn’t the biggest online, but it may be the best in terms of being manicured. It features exceptional slot machines, massive progressive jackpots and excellent bonus opportunities. 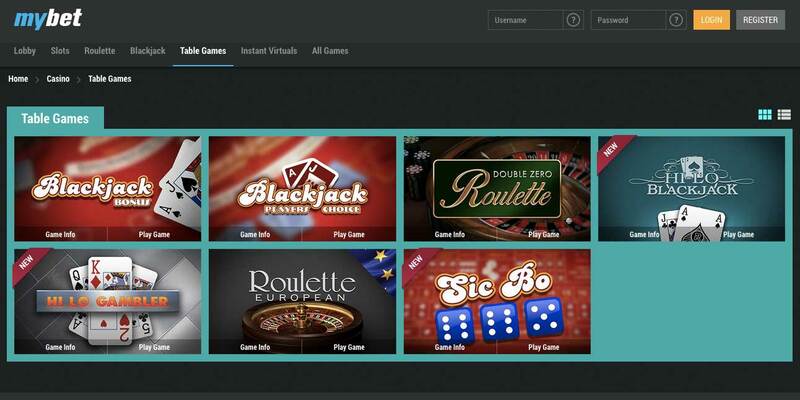 MyBet also incorporates multiple developers, including Aristocrat, Bally, IGT and Net Entertainment. 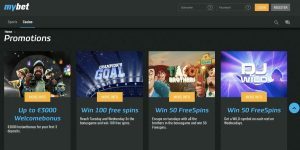 There really is something here for everyone, and perhaps what’s most intriguing about this success is that MyBet is first and foremost a bookmaker not a casino.That core business remains, but the casino has become so successful that it attracts an audience that never even ventures into that section of the site. The success of MyBet Casino is founded on a high level of transparency, excellence in customer service and progressive pots that can pay out in the millions. CSRs are available via live chat and phone, and there’s a detailed knowledge base that provides answers to common questions fast. 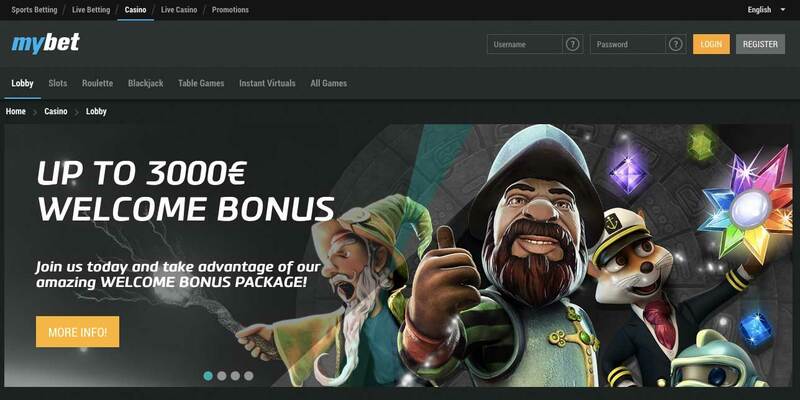 MyBet entices new members with a welcome bonus that doubles the initial deposit up to €500. Compared to most competitors, this is a very generous welcome offer. Consider that the average match offer in the industry is about €200. The fact that MyBet has been able to maintain this same offer for many years speaks to the success and stability of the operation. In order to quality for this bonus, the new member must only make a modest deposit of at least €25. The bonus is deposited automatically and used once the actual deposit has been played through. The wagering requirement for this bonus is 30 times the bonus plus the deposit used to claim it. Players have 10 days to play through the bonus, and certain games, such as table, live and card games, are excluded. More than 100 unique casino games across a wide range of categories are available at MyBet. The selection is charming and includes no wasted choices. The primary focus of the games selection is slot machines, but an excellent assortment of table games is also available. Random Logic, NetEnt and other companies have even created exclusive slot machines that are only available at MyBet. There’s never any software to download. All games are played instantly in the browser, and all games are available to play without real money as much as you’d like. 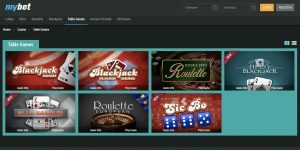 The NetEnt partnership with MyBet has been so successful that the casino has dedicated an entire section to the brand. Other featured developers include Aristocrat, Bally and IGT. A nice aspect of this approach is that you’re not required to sift through pages that contain dozens of games that all seem to blend together. 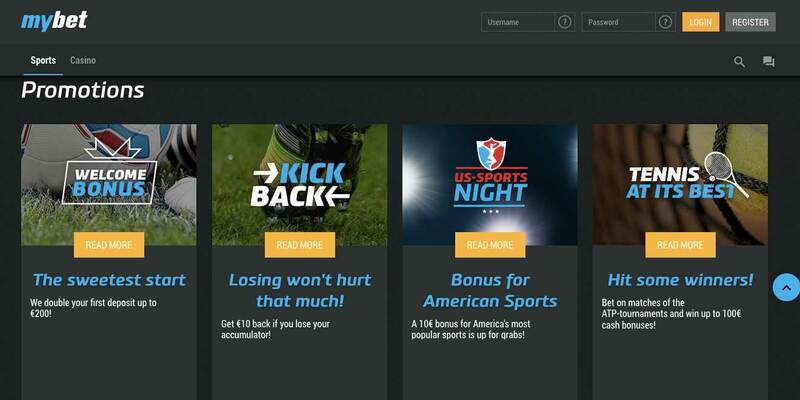 MyBet continues to take an old school approach to mobile play, which is a shame. There is no MyBet app available, such as for iOS or Android, and the desktop remains the focus. 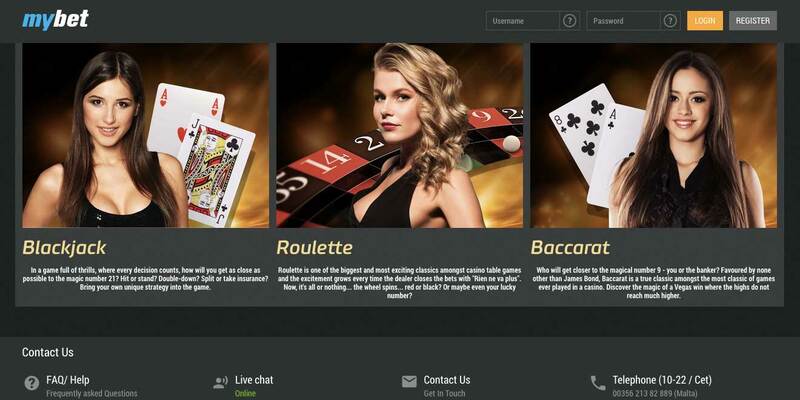 There is a mobile website available at m.mybet.com, which hides the bookmaker and presents a streamlined version of the casino. Since no download is required, it is possible to play on the main site via a smartphone or tablet. However, that demands a powerful mobile device that’s able to handle a full-featured desktop web browser. MyBet has taken the same approach to choosing games with care for the mobile user as it has for the main site. While that approach certainly has it benefits, it would be nice if MyBet would be more active about closing the game selection gap between the desktop and mobile versions. MyBet has a diverse promotional calendar that’s often updated. The casino frequently offers members raffles and other special promotions. There are also a number of fixed opportunities, such as a reload bonus that members can take advantage of on one deposit per month. This reload bonus matches the first deposit of the month by 50 percent up to €100. Details of the reload bonus are transparent and similar to the welcome bonus. For instance, blackjack, roulette and other classic casino games are not supported through this promotion. In addition to the reload bonus, there’s also a cash-back program in place. Every real-money wager earns a player bonus points. Some games, such as slots, play out more bonus points than others. 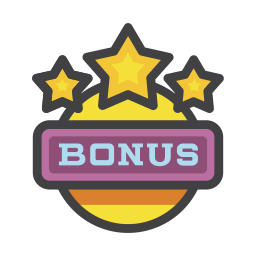 These bonus points accrue, and players can eventually convert them into cash. There’s a minimum value that must be met for cashing out, and the exchange rate is €5 per 500 bonus points. MyBet offers excellent customer support, and even at peak hours, the service team responds to client queries quickly and competently. The ideal way to reach customer support is live chat, which is available seven days a week and 12-20 hours a day depending on the day. If you have a question outside of live chat hours, then you can receive support via email at support@mybet.com. There’s also a knowledge base that has answers to nearly all common questions, and telephone support is available as well. When have the opportunity to withdraw winnings, MyBet will require you to use the same method that was used to make the deposit that resulted in those winnings. Therefore, clients should choose carefully, and MyBet has a banking FAQ that will answer most questions concerning payment options, fees, minimums, maximums, conditions and so forth. MyBet supports bank transfers, international transfers and most major credit and debit cards. The casino also supports many e-wallet options, such as PayPal, MoneyBookers, Neteller, PaySafeCard and Giropay. Most deposits take no more than a few minutes to complete, but transfers and credit cards can take a bit longer. This is particularly true whenever there is an exchange of currency. Nevertheless, transactions are usually faster than one would expect, and the MyBet platform is always safe and secure. 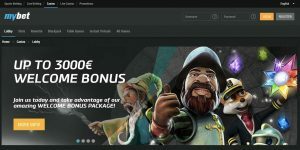 The minimum deposit is quite low at €5, and in order to maintain high security, sometimes MyBet will require additional information, such as proof of age. The decision to offer more than just sports betting is one of the best decisions MyBet has ever made. The online casino enjoyed near immediate success despite fierce competition and has earned a great reputation among online gamblers. Games can be played for free, and there’s a download option for the player who prefers that type of client. For most players, creating an account and playing through the web browser will be suitable, and that provides them easy, parallel access to sports betting and other services as well. 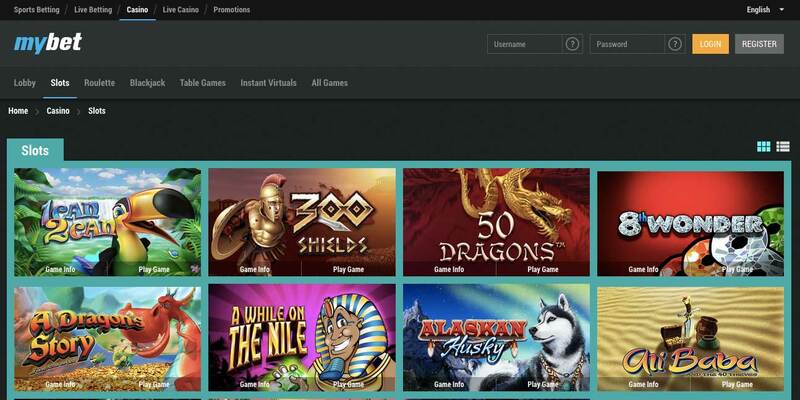 The game selection is modest but well-manicured, and MyBet is doing a stellar job of adding new games on a consistent basis.